The answer to this question, is not always easily answered, as there are many good security camera systems and what may make a good security camera system for one application, may not work well for another. Without using specific brand names, let's take a look at some of the characteristics that any system should have to qualify as "good." First, any good security camera system has got to have good technical support. Could you imagine purchasing an automobile without support? What would you do if you had an engine breakdown but no one could repair it? What if a warning light came on in your dash and you had no idea of what it meant? Would you purchase a personal computer without support? Probably not, and you wouldn’t want to purchase a security system without support either. 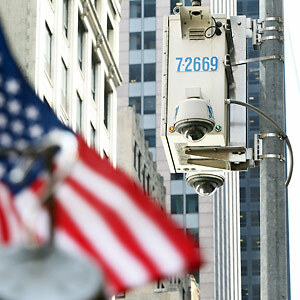 So the first characteristic of a good security camera system is full support from installations to repairs. Next, a good security camera system is a system that can perform the tasks that you need to accomplish your security and/or surveillance objectives. This may seem obvious, but it’s not always as easy as it sounds. All too often security camera system vendors will try to sell a security camera system based on what they have available, and not based on what you specifically need. For example, a vendor may have an ample supply of a particular indoor camera in stock and offer a package deal that includes eight of these cameras. However, you may need a system that contains 6 indoor cameras and 2 outdoor cameras. Good security camera systems are component systems. They consist of several different pieces (components) that all work and interact smoothly together to produce the output of a high quality system. Therefore, a good security camera system is a system that is offered by a dealer that allows you the flexibility to create the system with the exact components that you need. In the example above, eight indoor cameras does not satisfy the requirement for 2 outdoor cameras. Therefore, if this system doesn’t provide the flexibility to include 6 indoor and 2 outdoor cameras, it’s not a good security camera system. Another answer to the question, “What is a good security camera system?” includes the word “quality.” No one wants a camera that shuts down after one week of operation or a Digital Video Recorder or DVR that crashes after three weeks or a monitor that won’t work. While it’s true that there are no specific quality standards of quality for a good security camera system, there are some things that you can look for to help determine the quality of the system. We’ll attempt to list some of these characteristics for the camera and DVR components. • Cameras use electronic sensor chips to create the digital video picture. There are two types of chips, a Charged Coupled Device or CCD and a Complimentary Metal Oxide Semiconductor or CMOS. Although the two chips are becoming equal in quality as technology increases over time, generally the CCD produces at least a slightly high quality video picture. • The size of the sensor chip can be directly proportional to the quality output of the video image. Usually, a 3/4″ CCD produces a larger, higher resolution video than a 1/4″ CCD. • Outdoor type cameras and equipment should be specifically rated for outdoor use. These cameras and equipment should have an IP rating (Ingress Protection code) of IP65 or better. • A good quality DVR should have several different video outputs to support more than one monitor and more than one output connection type (HDMI, VGA, or BNC for example). • The DVR should support the best CODEC technology. A CODEC is a COmpression/DECompression utility. It is used to shrink the size of a the digital video file without sacrificing much quality. This allows you to maximize your DVR’s hard disk storage capacity. • An easy, intuitive graphic user interface for control of the DVR and cameras. • At least a 1 year but preferably a 2 or 3 year warranty. 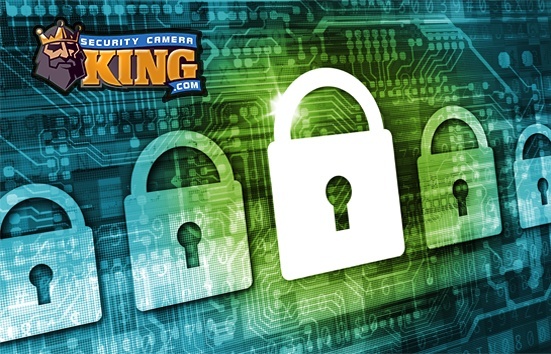 This should give you some basics to help you answer the question “What is a good security camera system.” If you are still uncertain or have any questions contact one our security experts by Live Chat or telephone today.